Welcome to Halifax River Audubon, the oldest and largest of the three Audubon chapters in Volusia County, Florida. We offer a variety of information and services to our members and the community at large. Rob Diaz de Villegas is WFSU Public Media's Ecology Producer. This spring, WFSU Public Media is undertaking an ambitious ecology outreach, education, and media project called EcoCitizen. The project challenges community members to actively engage with nature through citizen science, and to integrate their homes with surrounding wild spaces by landscaping for wildlife. Rob will talk about creating this kind large scale project centered on the video production work he's been doing. This promises to be a fascinating talk. We meet at Sica Hall, 1065 Daytona Ave, Holly Hill, FL 32117. Doors open at 6:30 p.m.and the presentation begins at 7:00 p.m. A brief business meeting will follow. Click here to view our newsletter and our archives. The Seawatch at Tom Renick Park in Ormond Beach is going strong. Harry Robinson is compiling an impressive record of the birds that are seen from this beachside park, both from landside and over the ocean. These reports are available on our website. Harry welcomes company while observing. Bring your scope to follow along as the birds can move very fast. It's like a pelagic trip without the swells. In addition to Ormond Beach, Harry has joined with Kim Ramos and Sam Krah on Tuesday afternoons at Dunlawton Bridge. Together they have compiled their observations into a concise spreadsheet that is available now on the website. They have been meeting at 4PM, but may "Fall Back" to 3PM with the time change. Harry has just published the final volume of his extensive studies of the Lake Apopka Restoration Area in Zellwood. This work provides an overview of 19 years of observations at the site. 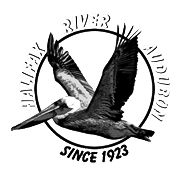 The complete series of reports for the Restoration area and for Audubon Park are archived here on the website. 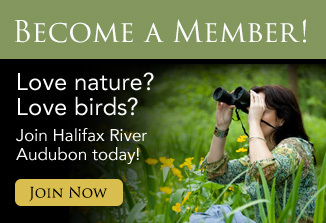 Halifax River Audubon has chosen the IRL as a strategic priority. To kick off our new year, we invited Duane De Freese, Ph.D., Executive Director of the IRL Council & Indian River Lagoon National Estuary Program to speak on the issues and plans to restore this vital resource. His presentation is available on our web site. The Advocate is Audubon Florida's monthly newsletter featuring up-to-the-minute developments in environmental issues.​ Read previous editions below and sign up to receive the Advocate for yourself. For more information about Audubon's native plant initiative, please check the link below for details. In addition to the great information on the site, you can generate a list of plants that are specific to our area. Wildlife Rehabilitation of Daytona Beach, Inc.